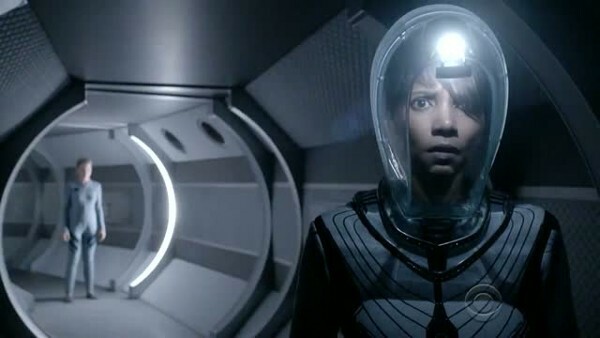 The intro to each episode of “Extant” tells us that “this is a story about Earth, a story about family, a story about surviving” and that is never truer than it is in the final episode of the first season. 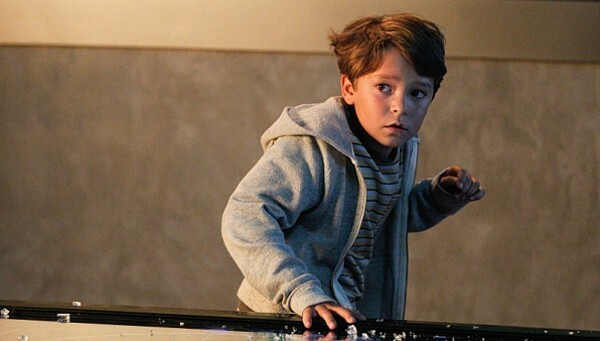 In many ways this episode also loops around to the beginning of the show as Molly Woods (Halle Berry) returns from a solo mission to space not alone and her husband, John (Goran Visnjic) attempts to discover just how much humanity their android son, Ethan (Pierce Gagnon) has obtained. The answer to the latter might just determine whether or not mankind becomes extinct. The finale is focused squarely on the Woods family with the supporting characters pushed to the background or not appearing at all. This serves to make the proceedings more personal and intimate while at the same time tying off the larger story threads. This show has always been about Molly and John fighting to keep their family together and Ethan struggling to find out his role in that fight. It’s only fighting that all three play a key role in the ultimate resolution. While Molly faces the threat head on in space aboard the Seraphim station, John shows Ethan what it really means to have faith, trust and love in another human being. Ethan become more human than human as, ultimately, it all comes down to son versus son with the android making the most human choice of all. The otherworldly son tries to sabotage everything on Earth while its spore-based brethren attempt to invade the Earth. The two wind up in a stand-off that is superbly written and acted and is perhaps the defining moment of the entire series. Of course, there are a few unanswered questions, such as the fate of Yasumoto (Hiroyuki Sanada), although it can probably be assumed that his time finally ran out off-screen. Also uncertain is what is to become of Sparks (Michael O’Neill). Presumably he has a future of incarceration that will probably be longer than the rest of his life. Then there is the final hook at the end of the danger of the “Offspring” still being very clear and present on Earth. 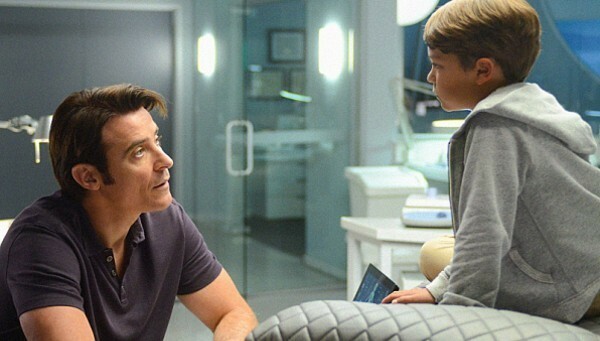 “Extant” prevails as a wonderful drama, an emotional family tale and as the very best of science-fiction. 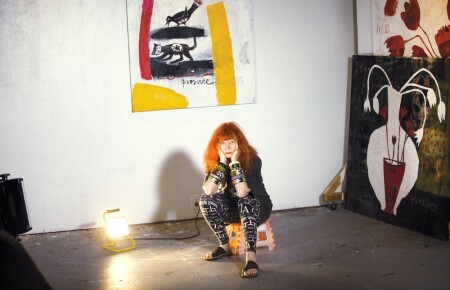 At its core it explores the human condition in several ways. We get to see the desire to connect on an emotional level to other beings. We see the innate compulsion to do whatever it takes to survive even while staring mortality right in the face. And we explore what science-fiction has always explored, the question of what it means to be human. What a wonderful journey “Extant” has been in looking at ourselves. CBS has yet to announce whether or not “Extant” will return for a second season. The ratings dropped significantly after the premiere, but levelled off by episode four and remained respectable for the remaining installments. It should be noted that the overall story reaches a very satisfactory end, so should there be more episodes there is still the feeling of a complete story having been told. 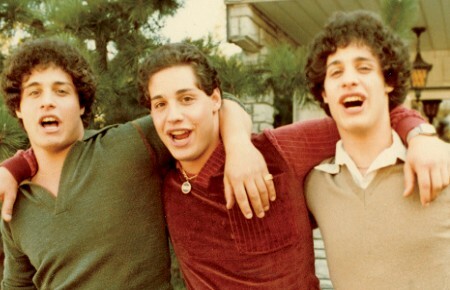 I suspect it will all come down to money and any number of other unpredictable factors, but I, for one, hope we haven’t seen the last of the Woods family.